Led by imagineNATIVE, a new media production guide lays out an adaptable framework on how to work with Indigenous communities and content in Canada. Titled On Screen Protocols & Pathways: A Media Production Guide to Working with Indigenous Canadian Communities, Cultures, Concepts & Stories, the project began in 2017. 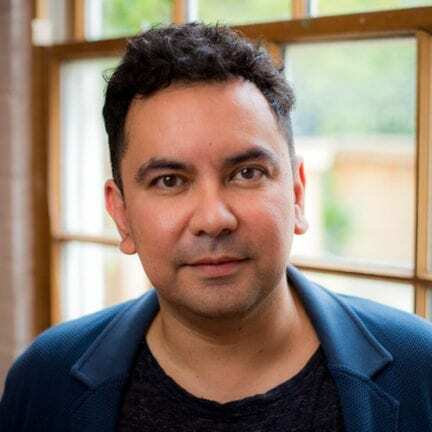 Funded by Ontario Creates, the National Film Board of Canada, the Canada Media Fund, Inspirit Foundation, Telefilm Canada, and Creative BC, this report may be a “game-changer for the industry,” says imagineNATIVE’s managing director Jason Ryle. In honour of the document’s launch March 25, 2019, we spoke with Ryle about narrative sovereignty, the impact of representation, Indigenous voices on screen, and more. Why is this document important, and why do you feel the industry needs to take note of it? Jason Ryle: “As an Indigenous organization, imagineNATIVE advocates for Indigenous filmmakers and perspectives to be brought to the screen. It’s called narrative sovereignty, and we refer to it as such in the report. Why did this initiative begin? Jason Ryle: “For us, it was initially a deliberate attempt to have some kind of guiding framework to enact positive change… if there misrepresentations of Indigenous people, culture, and stories on screen, what can we do to remedy that; to make a change, to make a difference? What do you hope this report achieves? Jason Ryle: “We want this report to have an impact for many years and generations to come. People are so heavily influenced by what they see, hear, and see reflected on screen, and if those representations are erroneous, if they are wrong, if they are negative, this has a very real impact on people, on communities, on their lives. How do filmmakers use and contribute to this living document? How was the process of creating the report along with partnering with different funders? Jason Ryle: “There was a lot of excitement and eagerness from all our funders, from all the Indigenous filmmakers and leaders who were engaged, and of course [project head] Marcia Nickerson. This group of people — the national advisory, Marcia, all the consultants — did something extraordinary and profound. I think this is a testament to the need for this type of guide. It shows a willingness to ensure more responsible storytelling is brought to the screen; that there’s more support for Indigenous voices on screen… I’m excited to see what’s going to come of this document in the next few years, and how funders, broadcasters, production companies respond and adapt. How do you see the impact this new framework might have on Indigenous storytelling?